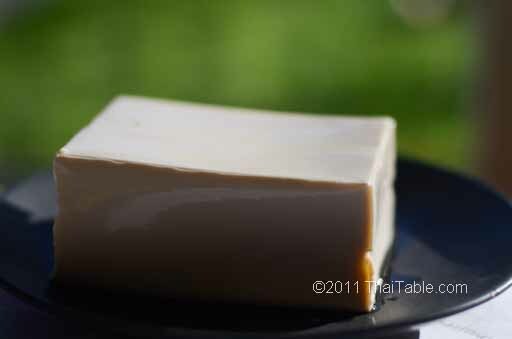 Soft silken tofu is very soft and have a jello texture. This type of tofu has the highest water content. The jello texture makes it very difficult to handle. The soft silken tofu can be served simply without furher cooking by adding soy sauce. It is also popular in soup dishes.